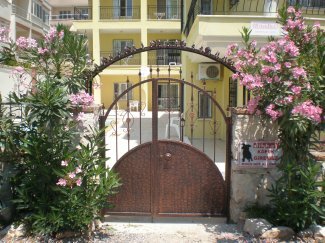 I purchased this two bedroom apartment in Altinkum in 2006 it was just a plot of land when i bought it for family holidays. 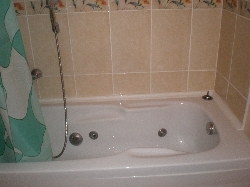 But this year I have decided to rent it out as l am not using it enough. 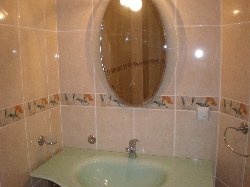 It is in a small individual and very well appointed apartment block. with shared swimming pool. 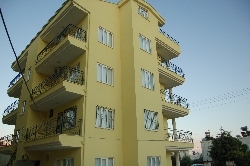 l bought in Altinkum because it is a beautiful area, great beaches, great bars and restaurants at great prices. Significantly better value than a lot of other countries, the climate is fabulous, the people are friendly; everything is in walking distance, It is located in a quiet area with sea views. but is just a short walk to everything needed. Best of both worlds! There are many day tours available to take you further afield if you want to explore. There is a weekly ferry to the Greek island of Kos. There is a newly built Marina has just opened. Altinkum is an up and coming place to holiday. 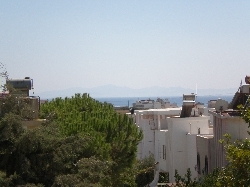 It is on the 2nd floor with stunning sea veiws of Altinkum coast line.It is in a very Quiet location with a very short stroll to all amenities, shops, banks, bars, restaurants. There are three beaches within a short stroll from the apartment. Each is sandy and the sea bed slopes gently out. Altinkum translates into English as 'Golden Sands', and you will see why! Air-conditioning available in all rooms. Separate charge is made based on actual usage and will be deducted from your deposit. All booking require a returnable deposit of �75 for each week payable at the time of booking. Deposit is held against breakages and usage of air conditioners and electricity and will be returned after your holiday less breakages and electricity usage from a/c. 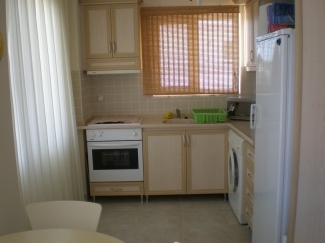 Full payment is required 4 weeks before departure; if not received the deposit will be retained and the apartment will become available to others for rental. This is the first time the apartment has been made available for rent. Guest comments will be added later. my apartment is located near the main beach only 15 mins walk. 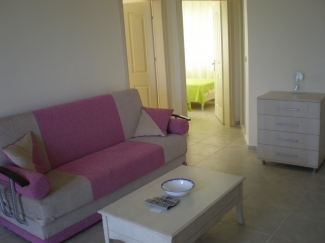 Located in Gulkent, an extremely popular area of Altinkum 15 minutes walk to the main beach and resort facilities.Gulkent offers the best of both worlds - a quiet residential neighborhood within a short walk from Altinkum�s many bars and restaurants. 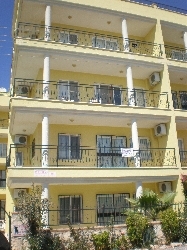 The area is well-catered for itself, with local shops and a bus into the nearby Turkish market town. Altinkum is a great place to stay with its wide streches of golden sands lapped by the clear blue waters of the southern aegean is ideal for families.Life in Altinkum revolves around its 3 beaches and beautiful secluded coves,streching from the small harbour at one end of the bay to a rocky headland at the other with over 1km of sand between.Altinkum. While on holiday, why not try some of the day trips on offer from Altinkum, the following trips, Ephesus, Pamukkale, Altinkum Aqua Park, Jeep safari, You can even go over to kos for the day. Didim is a typical Turkish town, 20 mins walk from Altinkum beach. Dolmus run every 10 minutes back & forth along the main Ataturk Bulvari road. Plenty of shops, and restaurants to browse around.